W.G. 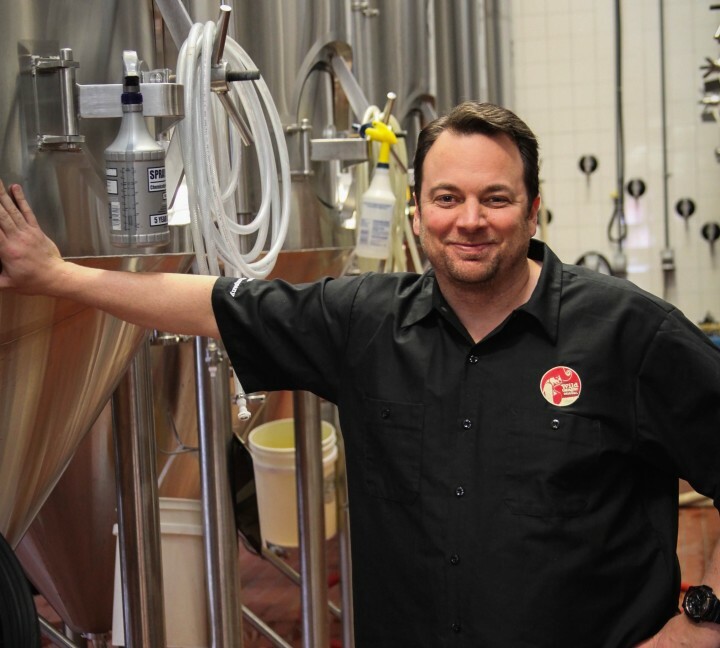 Brewing Co. founder Jamey Grosser is going all in on flavored beers. Former dirt bike racer Jamey Grosser has spent the last several years as a beverage entrepreneur. He cofounded the Realtree Outdoor Energy drink line and worked with the widow of legendary Tennessee moonshiner Marvin “Popcorn” Sutton to create Popcorn Sutton’s Tennessee White Whiskey in 2010. Last year, he launched W.G. Brewing Co. in Nashville. The company released Wild Ginger alcoholic ginger beer in August and quickly followed with Wild Root alcoholic root beer in November (both $8.99 to $9.99 a six-pack of 12-ounce cans). More flavors are slated to hit the market this spring, and the company will also debut a new brand sometime this summer. Grosser has a distinct vision for the future of the beer space, which he shared with Market Watch. MW: Why did you decide to launch a company focused on the hard soda category? Grosser: People can usually name only a few styles of beer, like IPA or wheat beer. But these days, I can get vodka in a huge number of flavors. Beer’s share of the pie keeps getting smaller and spirits gets bigger, because spirits makers are chasing consumers’ palates. I have a background in brewing and ingredient engineering, and realized I could make a beer taste like anything you fantasized about. This is what beer is going to have to do to start getting market share back from spirits. That’s why I got in the business: I’d never seen a bigger white space opportunity in my life. MW: What type of consumer are you targeting? Grosser: We’re targeting younger legal-drinking-age consumers. Their attention span is short, and they’re always looking for something new. So we want to attract young adults, who are jumping straight to spirits, to the beer aisle. We also want to win back some spirits drinkers who might not like the bitterness of beer by offering alternatives. MW: What has demand been like so far? Grosser: We have a lot of success with Wild Ginger because, as a ginger beer, it’s sold in the beer aisle. We’re seeing Wild Root continually grow as people begin experimenting with the different root beers. We started developing W.G. Brewing Co. before Not Your Father’s Root Beer came out. We had developed both our products simultaneously, but had to commit to launching only one at first. We picked the ginger beer, and then all hell broke loose with root beer. Now that consumers have a few options and they’re trying root beers side-by-side, we’re winning a lot of customers. But I think most consumers have yet to find the category. With all the marketing currently being done by big brands, this spring and summer is when the category velocity will go gangbusters. MW: What do you think is in the future for the hard soda category? Grosser: Hard soda will be a definitive category, but that’s just the tip of the iceberg. The possibilities are endless. The future will be one brand with 57 flavors, letting consumers choose the variants they want. For the beer pie to grow, we’ll need to offer options. I call this Beer 3.0. If Beer 1.0 is mainstream breweries and Beer 2.0 is craft, then 3.0 is making beer taste like whatever you want. And there’s no limitation. For W.G. Brewing Co., our philosophy is innovation and aggressiveness.